2 Bedroom Flat For Sale in South Croydon for £380,000. A stunning brand new converted first floor apartment with small balcony and private garden situated in a popular residential road in South Croydon within approximately half a mile to Purley Oaks and Sanderstead train stations. 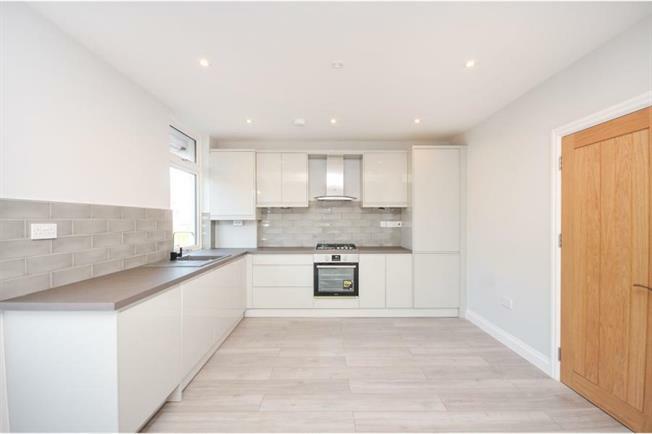 The property comprises open plan kitchen/living room with a feature fireplace and modern fully fitted handle-less wall and base units and integrated Bosch and Zanussi appliances. There are two double bedrooms and a stunning luxury modern bathroom. Other benefits include gas central heating via radiators, double glazed windows and a private terrace and garden. The property is now fully completed and ready for immediate occupation. Call today to arrange your viewing appointment.